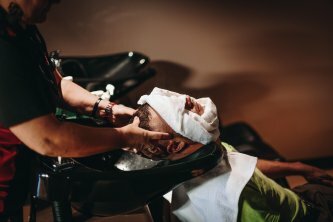 With a team of guy-smart stylists, we pride ourselves with providing a unique haircut experience that’ll have you coming back, time and again. Our stylists are trained to deliver all of the latest and classic cuts with style, so you know you’ll get the trim you want every time. Not sure what to get? We can help suggest a cut that suits you, so you won’t miss a step. We want to make it easy for you to get the haircut you need at a time that fits around your schedule best. There is no appointment needed and online check-in is the best way to know when your stylist is available. Sport Clips of Durango is family owned and operated, so you’re rooting for a local team. Check out the video from game 7 of The World Series! Everyone leaves Sport Clips looking like an MVP. With sport themes wall-to wall, including flat screens playing the latest games, we’ve created an environment that’ll blow you away. Looking for that extra touch? 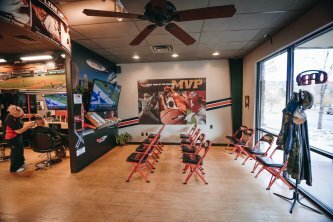 Try our MVP Haircut Experience. Enjoy a precision haircut, legendary hot steamed towel, massaging shampoo, and relaxing neck and shoulder treatment. It’s a sure winner. 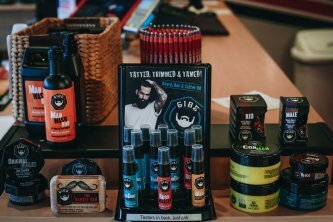 Beyond providing top notch cuts in a great environment, Sport Clips is a purveyor of quality men’s grooming products, selected to keep you looking fresh from the moment you step out ‘til the moment you visit us again. Our products are carefully chosen for men’s hair, meaning you’re going to get your money’s worth well before the bottle runs dry. Enjoy strong and healthy hair that’ll stand up to whatever you throw its way.